Good things do come in small packages. 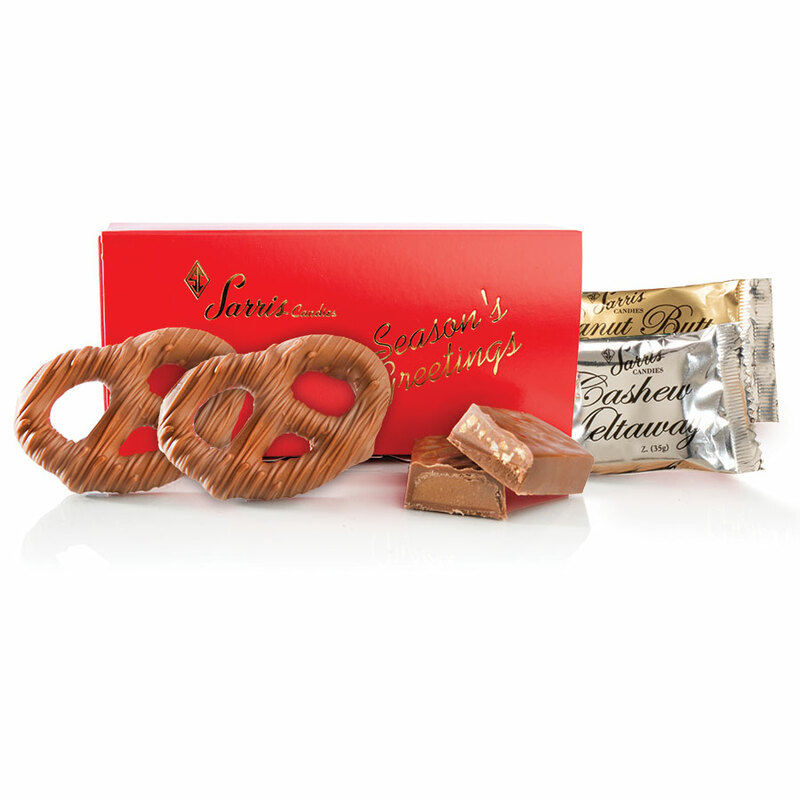 This special gift box is filled with six individually wrapped Sarris favorites. Box includes: two 1.25oz. Peanut Butter Meltaways, two 1.25oz. Cashew Meltaways and two 1oz. Chocolate Covered Pretzels.